Getting a property ready for an open house is enough work on the inside without having to rake leaves and fix broken fences. But what happens when the buyers walk out of a cozy interior and see the work they’ll have to put in for the garden? The garden is the first and last thing your visitors look at and a shabby exterior is not likely to impress. If the garden has plenty of trees, it has to be your selling point, not a reason for prospective buyers to run from. So get somebody to rake the leaves and pull out the weeds. If there is a lawn, mow it and keep it level. It’s the simplest way to present a neat front. If the gate is loose on its hinges or jammed, do get it fixed. Prying open a garden gate in front of buyers is not going to look good. Fences need to be fixed as well since they give a neglected appearance right away. It’s one of the important things that buyers look for – they need to know that the property is well enclosed on all sides. Paint them too if they are too weather worn. While fixing up the garden, clear out the driveway too. Make sure it’s well paved and if you see tufts of lumpy grass across the surface, remove it and level it up with pebbles: it will make the surface smoother to pull in and give it a more modern look too. The garage door should be well maintained; add a fresh coat of paint if possible and have any broken panes of glass fixed. For that matter, all windows and glasswork facing out front need to be sparkling clean. If it’s an older house, you must consider painting the front of the house to restore its appearance. Broken or rusted light fixtures in the garden and near the front door can be replaced with new ones that can enhance the ambience. Similarly, a brass door handle or knob for the front door too could do with some polishing. As attractive as a small pond can be out front, a dirty one is not likely to get the same attention. Drain the pond and have it cleaned and filled with fresh water and some water plants. Remove plants that look unkempt and replace them with flowered pots near the entrance. 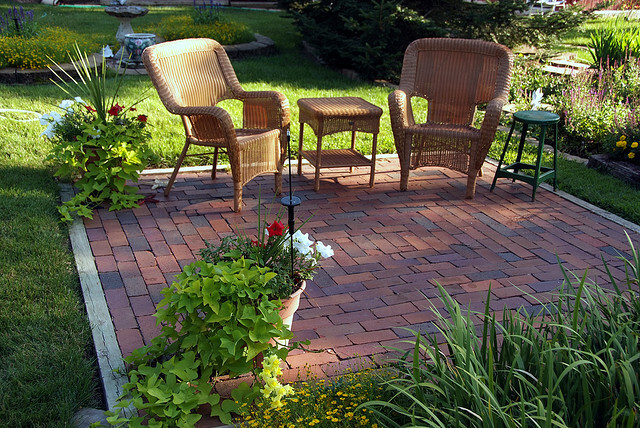 You don’t have to spend on expensive landscaping, but just a well groomed garden can attract more buyers. With your garden looking good, you can open out the curtains and drapes for a more pleasing view from the den or the living room. With more sunlight streaming in, the house is sure to have a better appeal than one shrouded with dark and musty curtains.